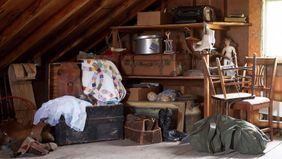 Whether you’re prepping for a move, or simply looking to declutter (that guitar in the basement hasn’t been touched since college), throwing a successful garage (or yard) sale can be a great way to downsize and make a few bucks in the process. However, one doesn’t simply throw piles of discards on a table in the yard and hope for the best. A truly successful garage sale is all about planning and savvy marketing. But before you conjure the perfect pun, know that some cities prohibit posting yard sale signage without a permit — even on your property. Check your local government’s website, or your homeowner’s association, to review the requirements in your area. 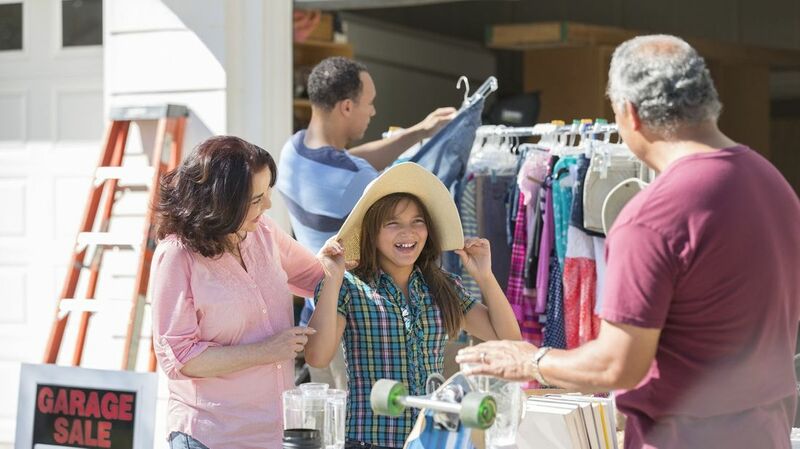 If you don’t live on a busy street, or parking is scarce, host your garage sale at a more convenient location. Find a friend or family member to offer you their yard. Or, even better, team up with a couple homeowners and make it a multi-family garage sale to generate more foot traffic. People tend to go out of their way when they know they’re getting a larger selection of goods. Choosing a date and time for your garage sale can be tricky. Most people have garage sales on Saturdays and Sundays. But having your event on a Friday avoids weekend competition and grants you unfettered access to serious yard sale shoppers, such as collectors, antique store owners, eBay sellers and retirees — many of whom shop at yard sales during the week. If you’re willing to put in the labor, a two-day yard sale on Friday and Saturday would give you more exposure to different shoppers. There’s no golden rule in terms of what time of day is best for yard sales, but depending on your haggling stamina (negotiating with strangers can be exhausting) you may want to hold the event from 10 a.m. to 5 p.m. It’s a full day of work, but you’ll reap the financial rewards when you’re done. Before you get started, make sure you have more than enough change and small bills on hand. Also, if you’re planning to sell big-ticket items, buy a counterfeit detector pen ($5 on Amazon) to check whether large bills are suspect or genuine. If you want to appeal to cash-free shoppers, you can accept credit and debit cards using a Square reader. Square charges 2.75 percent per transaction, and the money deposits directly into your bank account. How to price your wares depends on whether you want to negotiate. If you like to haggle, you can price your goods slightly above (think 10 to 20 percent more) what you’d be willing to pay for them. 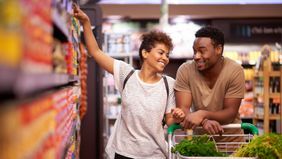 However, if you don’t want the hassle of bargaining with shoppers, price your items to sell at fair value. Either way, you’ll want to physically label every item with a price tag, which is a task you accomplished with a roll of manila tape and a Sharpie. Seriously, don’t waste money on a price-tagging gun. Not sure how much your stuff is worth? 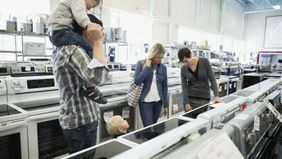 Follow the 50-30-10 rule: New, unused items get priced at 50 percent of their retail cost, slightly used items at 30 percent of retail value, and used items at 10 percent. If you’re selling a lot of items at the same price, place them in a bin with a price label. A yard sale isn’t a one-person job. If you want to sell as many items as possible, you’ll need to enlist help. Ideally, while you’re chatting with customers you’ll want someone staffing the cash “register” and another person keeping an eye on things. Sadly, yard sales are prime targets for shoplifters. Nothing beats a cold drink on a hot day. Have soda and water bottles for guests, and charge them $1 apiece. At the very least, offer folks free water from a cooler. For the truly entrepreneurial, encourage your kids (if you’re so lucky) to set up a lemonade stand so they can profit from your captive audience and learn a classic lesson about earning money in the process. You’re going to have unsold merchandise. Rather than hold onto things, take leftovers to Goodwill or the Salvation Army, and get a receipt that you can file away to use for a tax deduction for charitable donations. Or try to sell them on an online marketplace, like Craigslist or eBay. Remember: The whole point of having a yard sale is to clean house and make some money — not schlepp things to your curb and then back inside for exercise!